Many recipes call for self-rising flour as a staple ingredient. Oftentimes, we find ourselves passing these recipes by because we don't have it on hand, or because we don't use it enough to actually want to buy it. Luckily, self-rising flour is absurdly easy it to make at home. It requires only three simple ingredients and can be used in both recipes that call for it as an ingredient, and as a substitute for regular flour in quick-rise recipes to cut down on separate leavening agents. However you're going to use it, self-rising flour is a handy kitchen item for all types of baking recipes, and knowing how to make it yourself will help you out in a pinch and save you money in the long run. Measure the ingredients, then mix well. This ratio is the equivalent of one cup of self-rising flour; multiply the amount as needed to create a larger batch. According to The Kitchn, both all-purpose flour and self-rising flour expire within 1-2 years—as long as it's kept in an airtight container in a cool and dry area of your kitchen. And you can check to make sure the baking powder is still chemically active by sprinkling a bit of your self-rising flour into vinegar: if it bubbles, you're good to go. Using self-rising flour allows you to skip adding the leavening agent (baking powder + salt or baking soda + salt) in any recipes that require quick-rise doughs, such as the examples below. Biscuits: Ree Drummond, also known as The Pioneer Woman, whips up some wonderful, fluffy biscuits using self-rising flour (and a bit of honey, of course). Cinnamon rolls: Debbie Thurmond from Just a Pinch uses self-rising flour to make her "easiest ever cinnamon rolls," complete with a sweet sugary glaze. 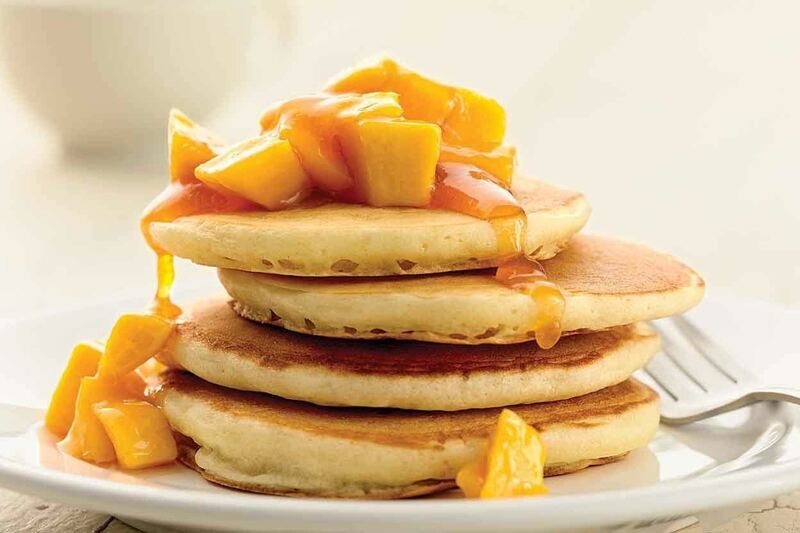 Pancakes: Royalty in the baking world, King Arthur Flour uses self-rising flour to make pancakes light and delicious. Scones: Martha Stewart makes her "calendar girl scones" with self-rising flour; the end result is buttery goodness fit for a tea party. Pizza dough: Check out Karen's awesome tutorial on how to make pizza dough with only 2 ingredients: Greek yogurt and self-rising flour. 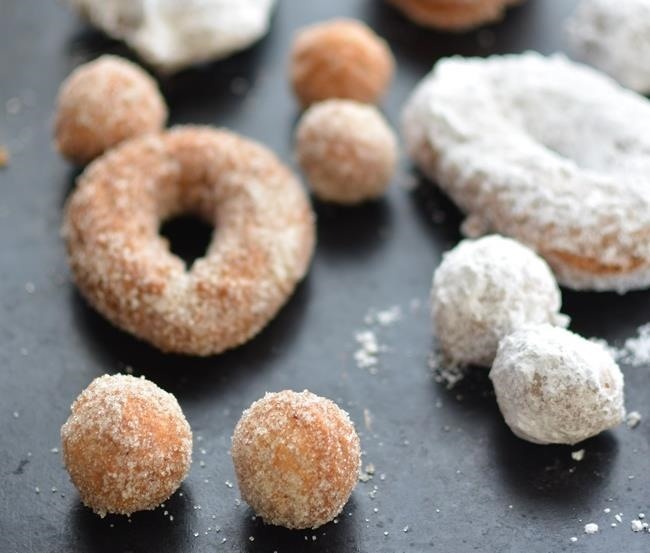 Doughnuts: Cosmopolitan Cornbread uses self-rising flour to make these decadent cinnamon and powdered sugar doughnuts. We hope you find this simple tip as helpful in the kitchen as we do. 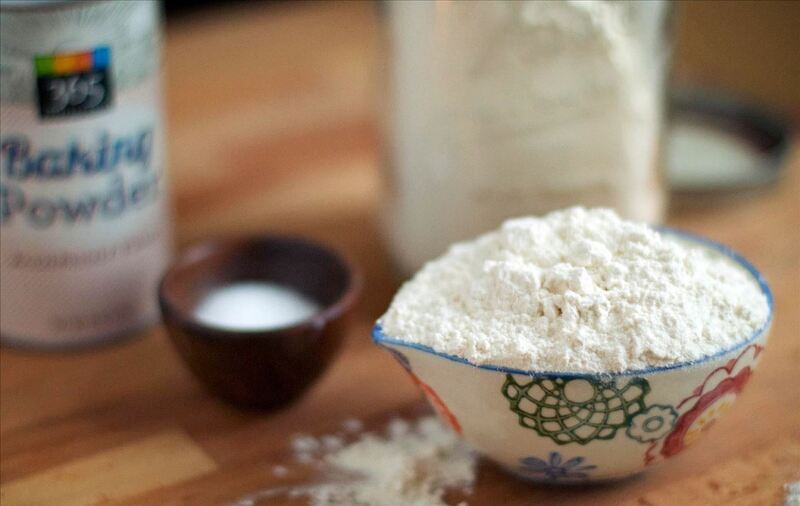 What's your favorite thing to make with self-rising flour? Let us know in the comments below.